Donuts or Doughnuts you can spell either way. Whatever it may be we all love this right !!! . This is my second attempt of making doughnuts at home. The first attempt was different recipe. And that was old fashioned buttermilk doughnuts. 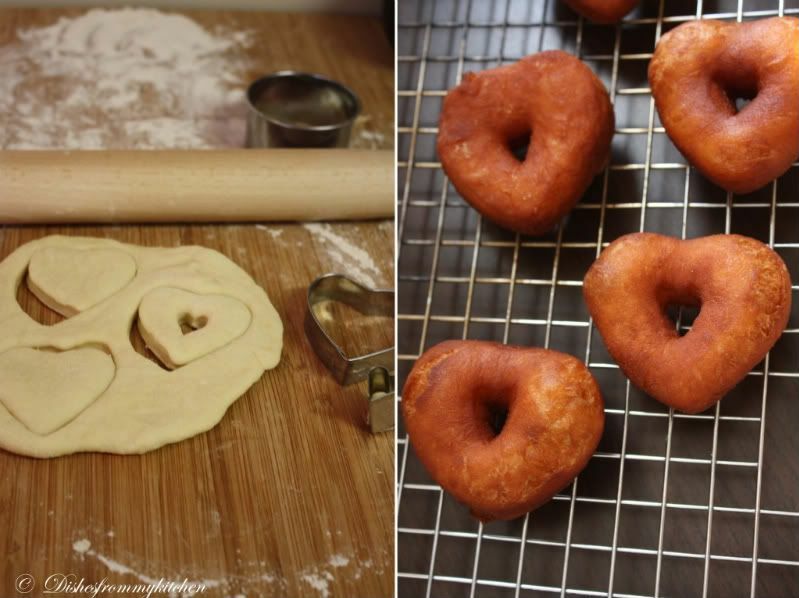 So this time I wanted to make Yeast donuts which we love so so much. This recipe is a keeper I must say, I just changed the measurement of sugar and flour from the original recipe remaining other things are same. Hope you all enjoy this visual treat and let's all go nuts for Donuts. 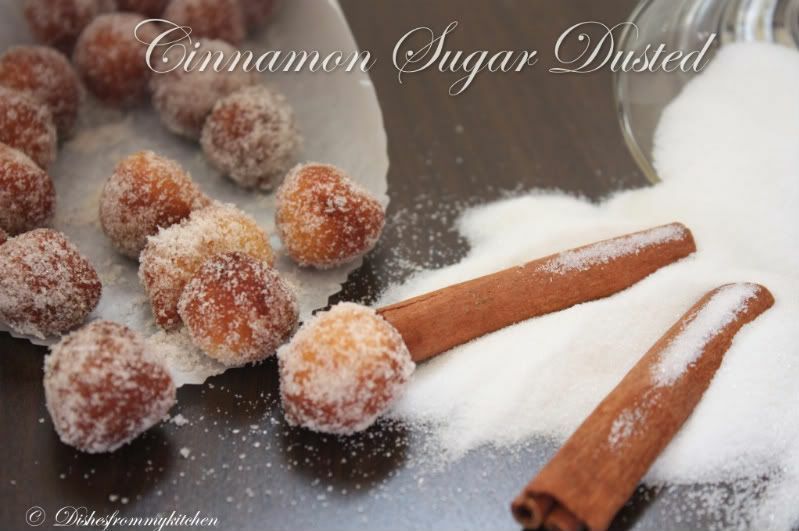 And now your kitchen starts smelling Yummy !!! This is my corrected measurement so everytime I am going to follow this. 2. Place the shortening in a bowl and pour warmed milk over. Set aside. 3. In a small bowl, sprinkle the yeast over the warm water and let dissolve for 5 minutes. It should get foamy. After 5 minutes, pour the yeast mixture into the large bowl of a stand mixer and add the milk and shortening mixture, first making sure the milk and shortening mixture has cooled to lukewarm. 4. Add the eggs, sugar, salt, nutmeg, and half of the flour. Using the paddle attachment of your mixer (if you have one), combine the ingredients on low speed until flour is incorporated and then turn the speed up to medium and beat until well combined. 5. Add the remaining flour, combining on low speed at first, and then increase the speed to medium and beat well. 6. Change to the dough hook attachment of the mixer and beat on medium speed until the dough pulls away from the bowl and becomes smooth, approximately 3 to 4 minutes (for me this only took about two minutes). If you do not have a dough hook/stand mixer – knead until the dough is smooth and not sticky. 7. Transfer to a well-oiled bowl, cover, and let rise for 1 hour or until doubled in size. 8. On a well-floured surface, roll out dough to 3/8-inch (9 mm)thick. (Make sure the surface really is well-floured otherwise your doughnuts will stick to the counter). 9. 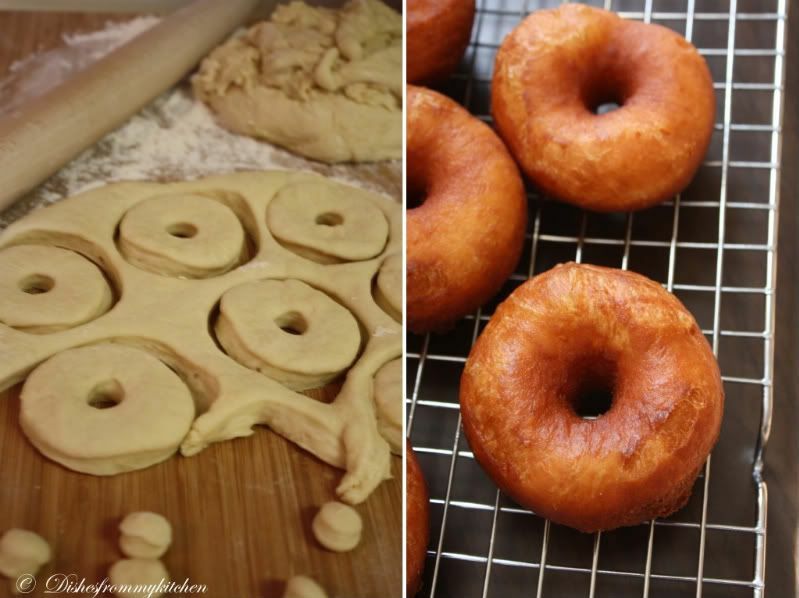 Cut out dough using a 2 1/2-inch (65 mm) doughnut cutter or pastry ring or drinking glass and using a 7/8-inch (22 mm) ring for the center whole. Set on floured baking sheet, cover lightly with a tea towel, and let rise for 30 minutes. 10. Preheat the oil in a deep fryer or Dutch oven to 365 °F/185°C. 11. Gently place the doughnuts into the oil, 3 to 4 at a time. Cook for 1 minute per side or until golden brown (my doughnuts only took about 30 seconds on each side at this temperature). 12. Transfer to a cooling rack placed in baking pan. Allow to cool for 15 to 20 minutes prior to glazing, if desired. 1. The dough your are mixing will be very very sticky but don't panic when you keep for rising the flour absorbes more moisture and you get the correct consistency when dusting with flour while rolling. They look so so good. I love the glazed ones. They look great! The heart-shaped one looks so sweet. They look so good and irresistible,beautiful clicks dear. 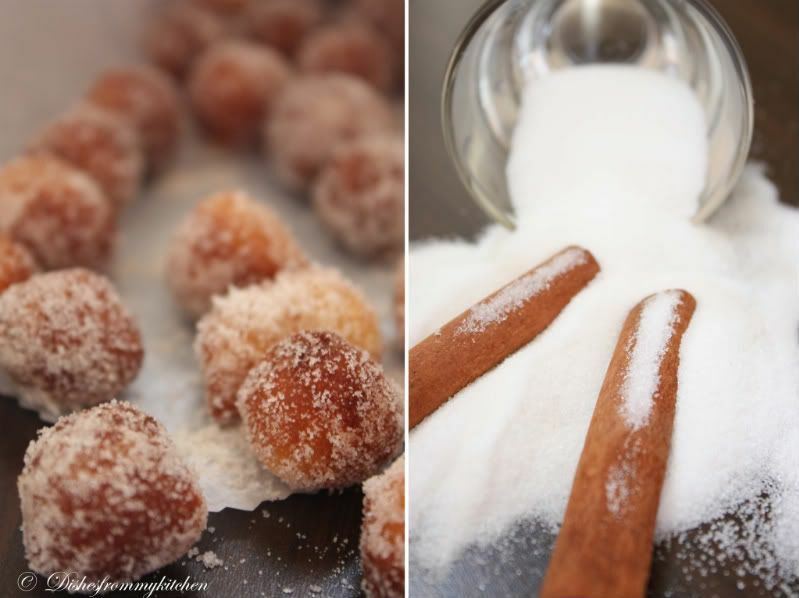 U r becoming n expert in baking...doughnuts looks perfectly shaped luved the heartshaped ones too....All clicks are beautiful and ur efforts are shown in each pic! 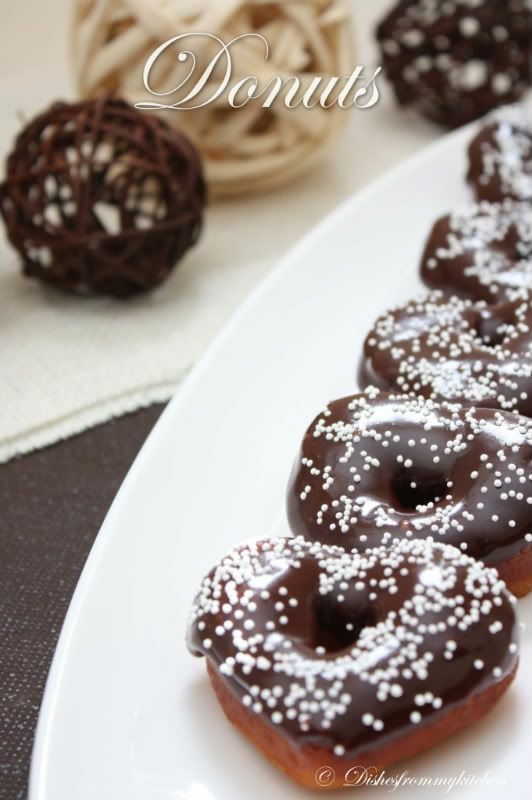 Lovely hearty doughnuts, looks gorgeous. Hi. I love the hearts, they look beautiful. WOW Pavithra! What an amazing job you've done! Your donuts are professional! The hearts came out so nice, I tried to cut stars but they lost their shape almost completely... Well done on this challenge. Your photos are superb!!!! Thanks for your lovely comment on mine! Omg, its has been a long i had donuts, urs looks absolutely tempting, prefect and gorgeous Pavi..feel like grabbing some..
Pavi - not fair. Not fair just you get to eat this. I'm drinking my morning coffee as I read this and I so want to bite into this with my coffee! I can imagine how great your house would have smelt. I've made donuts a couple of times and its hard to stop at 1 or 2. Love it! Love it! Wow! Your doughnuts are fabulous ..great job! Love those heart shaped donuts. So so pretty to be eaten! Oh! Pavi.... U always leave me with a mixed feeling.... Bitter & Sweet.... Which means ENVIOUS!!!! I so so so much hate this blog of yours..... as it simply looks OUT OF THIS WORLD, with these amazing foodie pics..... BRAVO!!!! Those are gorgeous donuts, I am sure they all tasted delicious! Great job on this challenge, your pictures are beautiful! petty looking donuts and they are so soft and fluffy! 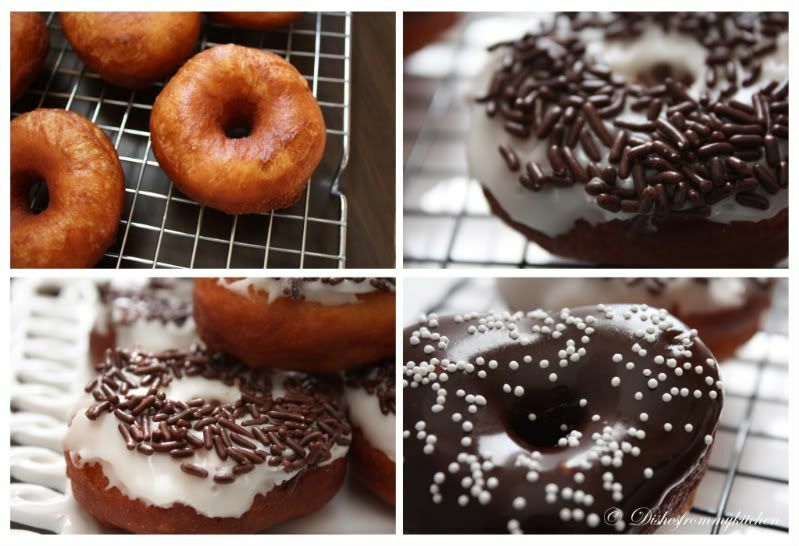 Perfect doughnuts! they came out perfect.. Perfect! 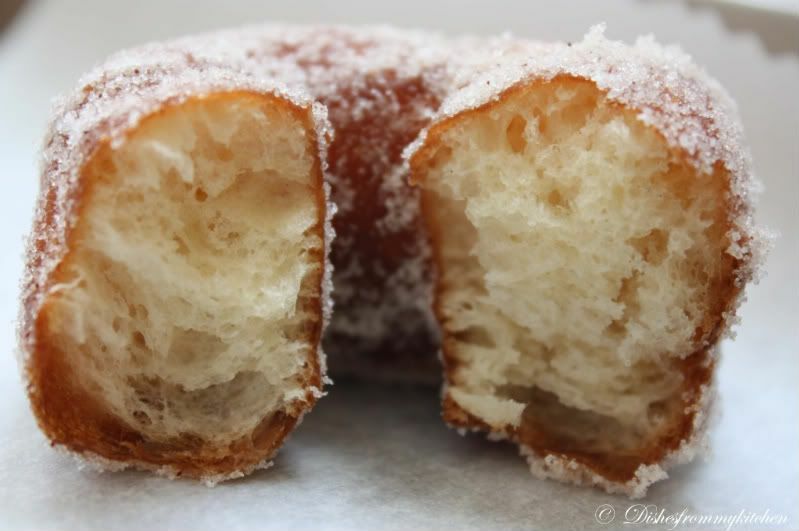 The close up of the crumb inside the doughnut is too much - I want a doughnut NOW! Hey Pavithra.............absolutely decadent! I feel like grabbing one right from the photos :-)!!! 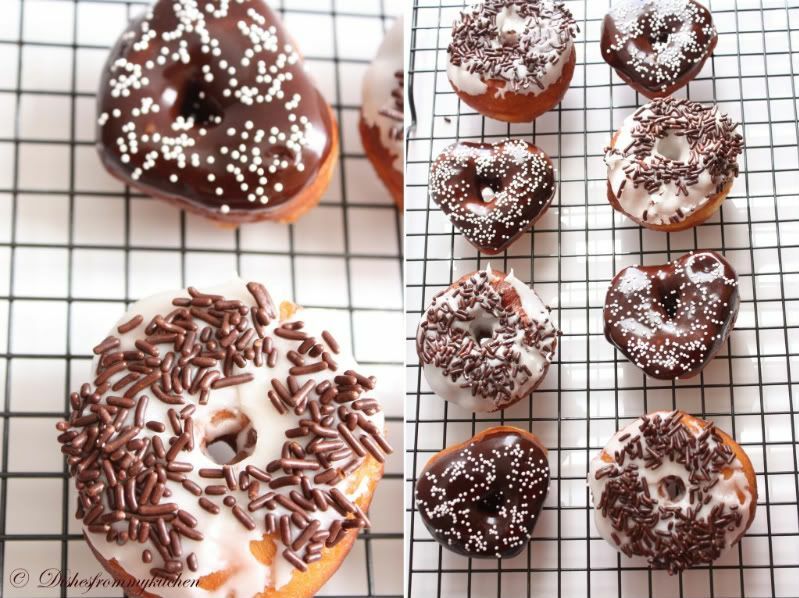 Your doughnuts look ever so pretty! What ever you do you do with perfection pavi,has come out so perfect and looks so so pretty too! The texture is awesome! 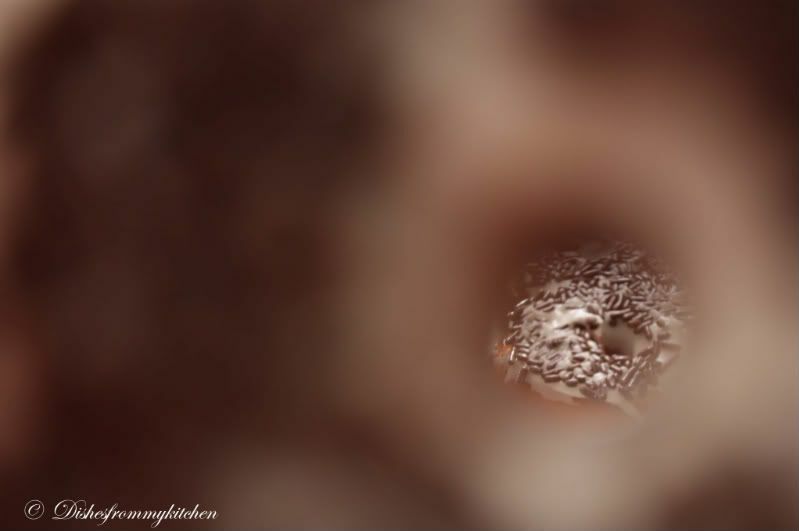 I'm drooling over the yummy donuts & the lovely clicks !!! WOW they look perfect I stunning into silence superb job on this challenge that photo of the interior is so so good. Cheers from Audax in Sydney Australia. 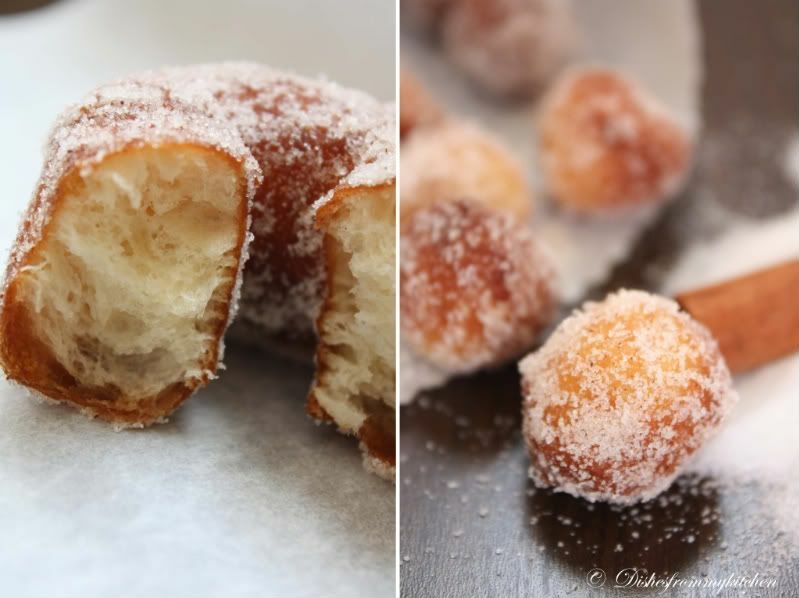 Wow i can't belive that you made these yuumy dounuts at home!! They look so inviting ....pefect cliks and presentation too.. 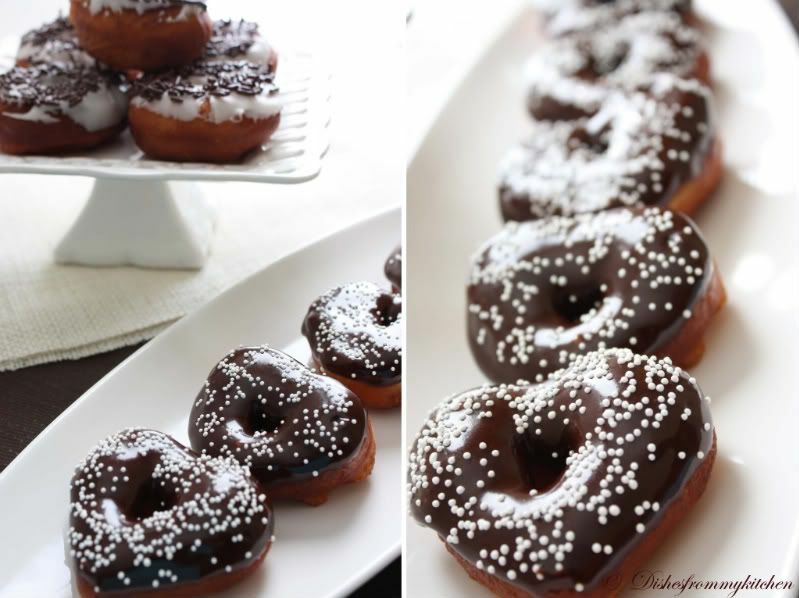 I don't have any words for this, man mouth-drooling donuts, yummmm!! Nicely done! They look amazing!! 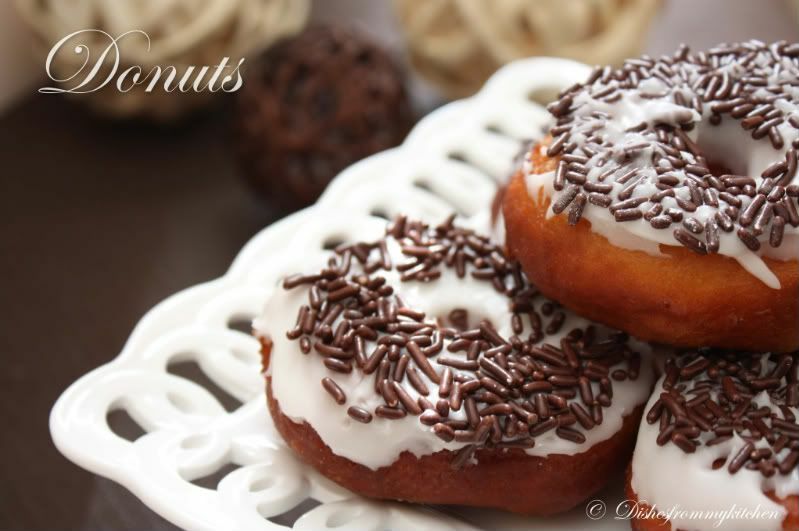 Hi Pavithra, I've never tried to bake donuts at home, but now you leave me with no choice :-P...fantastic, yummy, droolicious pics! And I love your blog organization by the recipe tabs...so much to browse around and try..will definitely let you know when I try any...thanks for dropping by on my blog btw! Great to get to know you! Breath taking snaps! A very delicious and mouth watering sweet! wow nice photography . they looks awesome with these glazes.